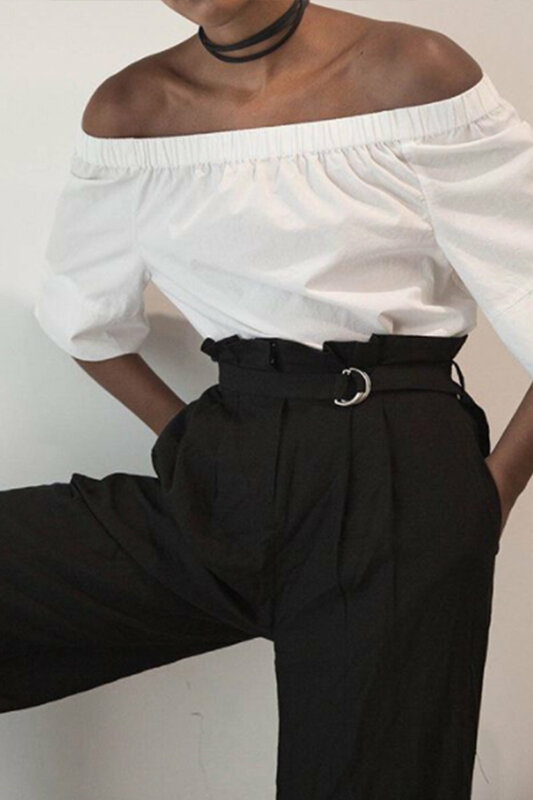 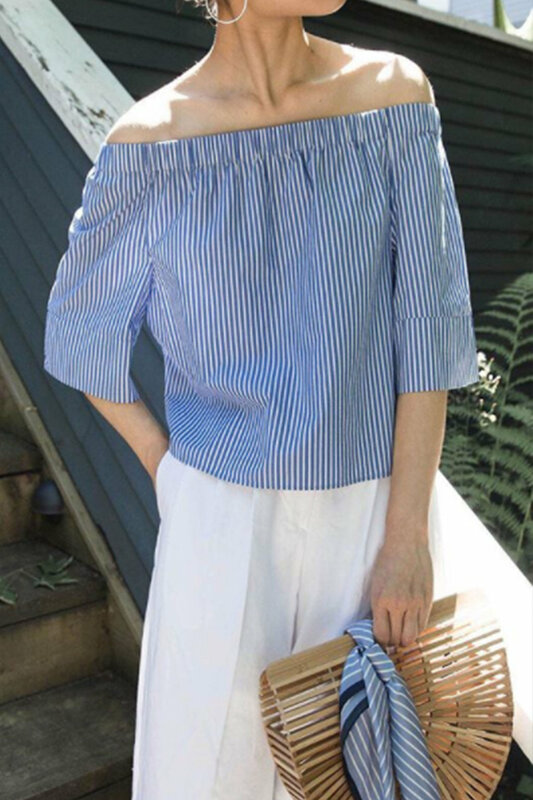 Ever so minimal, this classic off-shoulder blouse features short and wide sleeves as well as a cropped length - perfect for the warmer weather. 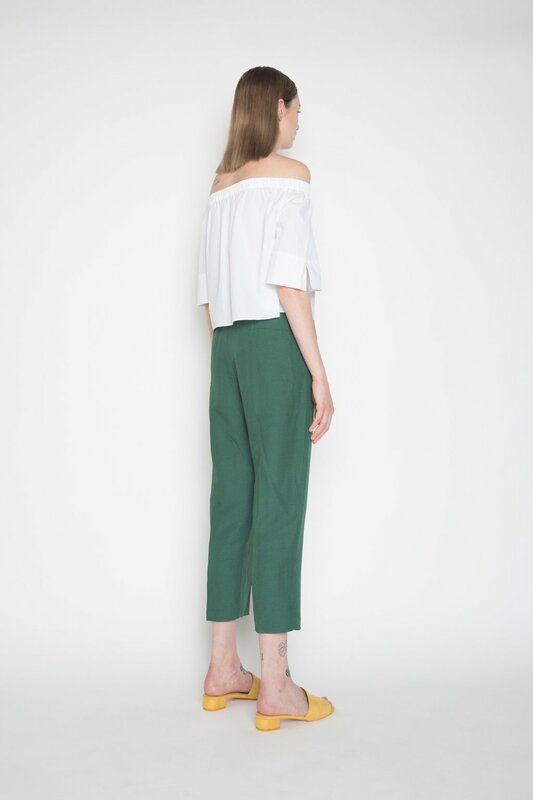 Extremely lightweight and comfortable, this piece is versatile with a sophisticated touch. 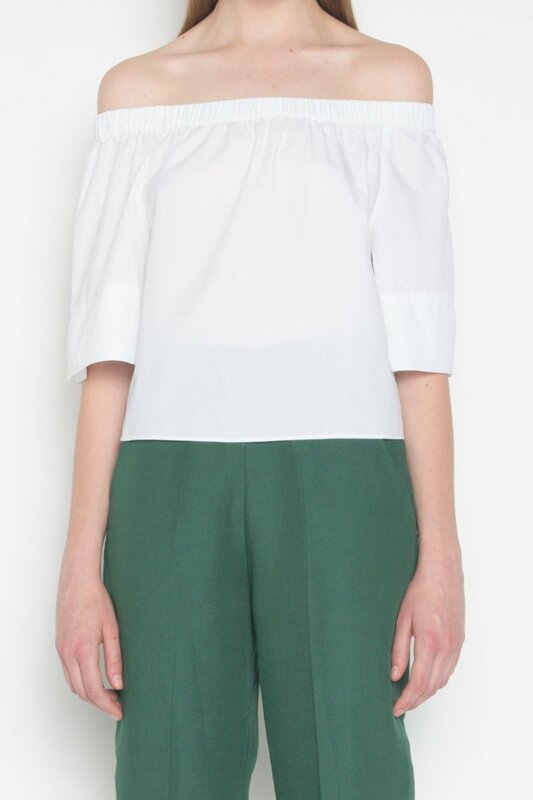 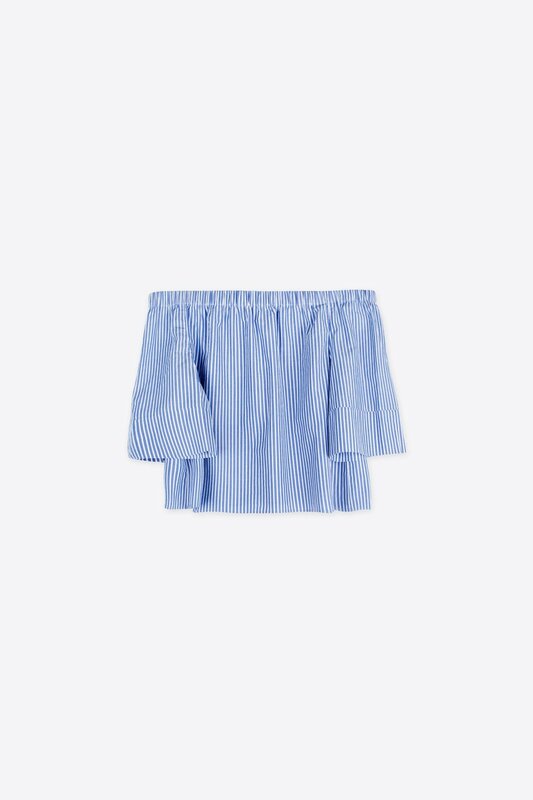 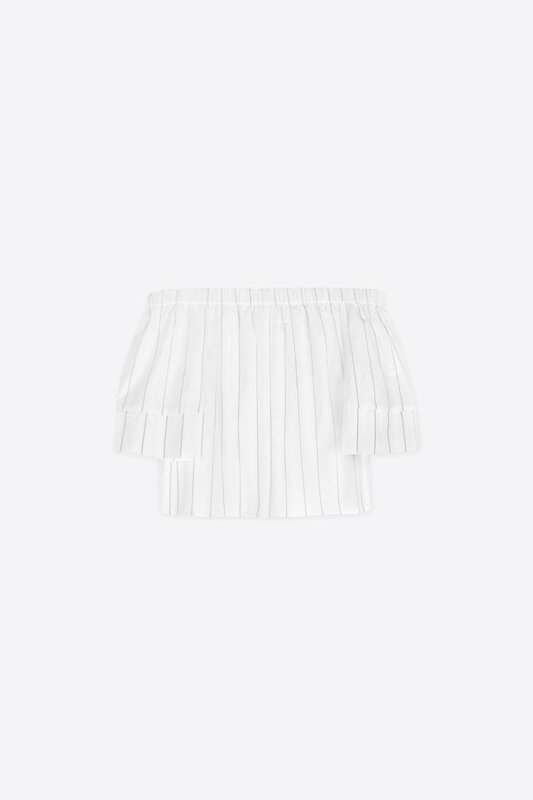 Pair with high-waisted shorts and heeled sandals for an effortlessly feminine summertime look.